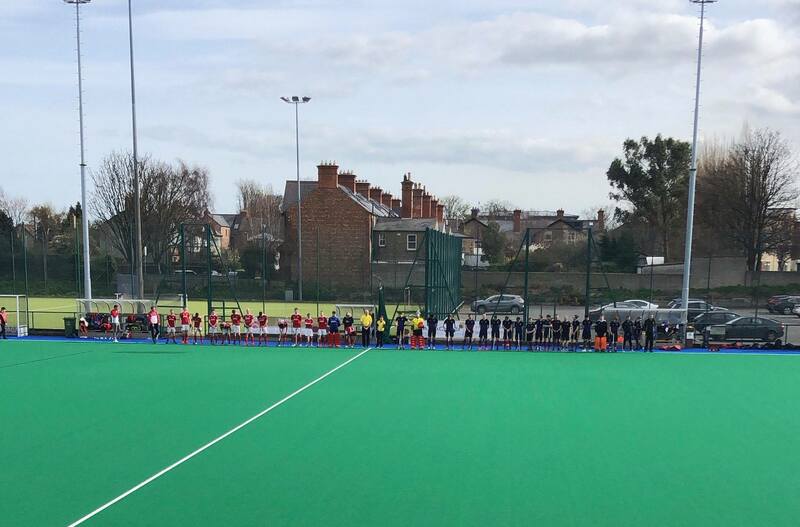 Cookstown had a brilliant win on the road on Saturday, emerging victorious from an end-to-end match at Serpentine Avenue in Dublin against playoff-seeking Pembroke Wanderers. The game started tentatively with both teams feeling each other out and neither side forcing any meaningful chances. Cookstown took the lead after five minutes. Mark Crooks combined with Scott McCabe down the right with the latter crossing for Callum Anderson to finish with a powerful half-volley. The second quarter saw Pembroke come out of the blocks at pace and put the Reds under a bit more pressure. Cian Murphey scored from a baseline cut back for 1-1. Cookstown settled into a counter-attack game and won a short after good work from Crooks, Paul Thompson and Michael Kerr. From the resultant flick Kerr went just wide to leave it all square at half time. In the breakdown from this Pembroke opportunity, Cookstown broke upfield with Anderson and Crooks combining to win a short. Ryan Millar’s flick was stopped illegally on the line despite Pembroke appeals. Millar put the consequent penalty stroke away. Not long after this, Cookstown broke away again, winning a short which Millar put away. 3-1 down, Pembroke lifted their play and won a penalty stoke of their own after the ball hit a foot in the circle. Stephen Sweetnam converted. The Reds were able to force a number of opportunities on the counter over the last few minutes of the third quarter but it was Pembroke who levelled it up, Cody Thomas firing in a reverse after a pinpoint Harry Spain pass. In a rather helter-skelter final quarter, Paul Thompson went close with a volley for Cookstown while Pembroke’s Greg Chambers missed an open goal. There were a number of cards for the two teams and towards the end the Dubliners pulled their keeper for an extra outfield player. The winning goal came from the short corner set piece, Mark Crooks converting after an excellent save from the Pembroke goalkeeper. Cookstown II had an uncharacteristically flat performance at Strathearn School on Saturday, ultimately failing to fire a shot as Annadale II won 2-0 with a goal in either half.